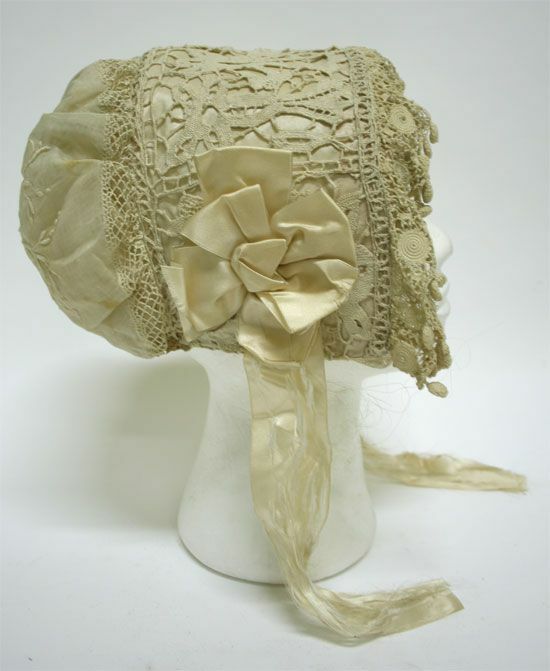 If you asked a reader of Regency Romance what character would wear a cap, they would say a married woman or a spinster. 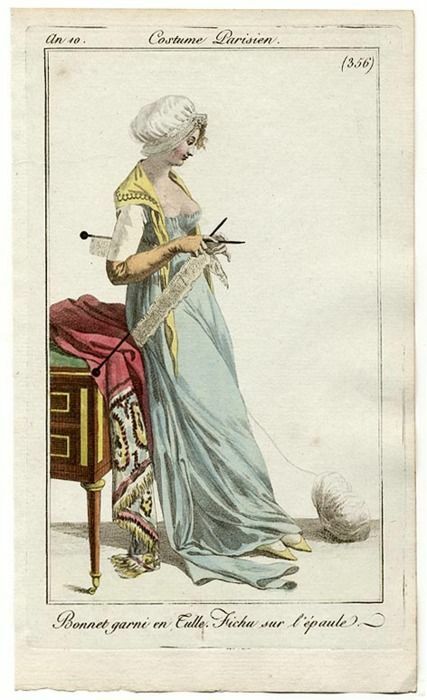 But what makes a spinster, and why would they wear a cap? 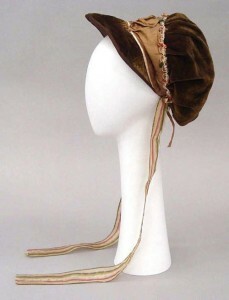 The reader would reply, an unmarried woman past her prime would wear a cap. But they might be vague on why. To signify she was off the marriage market? To indicate her age? To allow her to avoid fussing over her appearance for yet another unproductive Season? 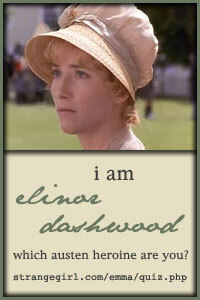 So she could sit on the sidelines and not dance until the handsome rake/Lord noticed her? 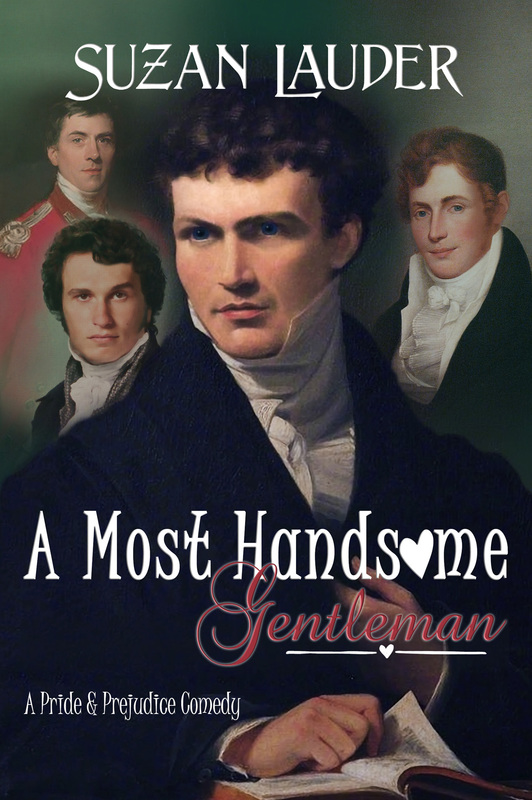 Ah, the appearance of a Regency Romance cliché! The whole thing must have been confusing. 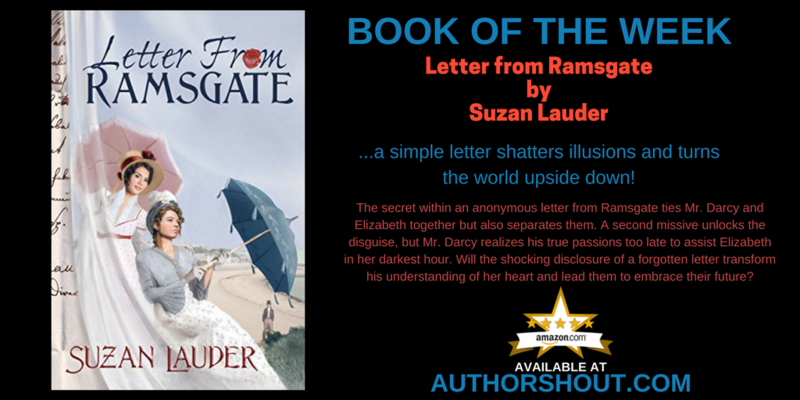 Married women wore a cap, so it would follow that the odd time, the rake would have flirted with Lady Offlimits—until Lord Offlimits showed. 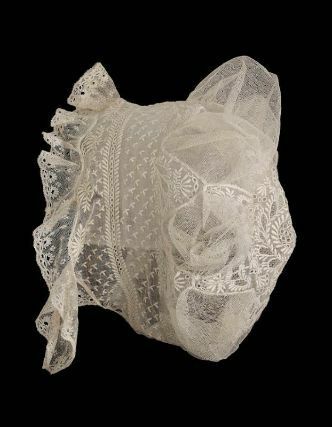 There might be a better chance of it, since the spinster would have been passed by repeatedly, implying she was never as vivacious as Lady Offlimits. Unless, of course, she was crossed in love. Another Regency Romance cliché. For the 21st century woman, the choice of a cap is personal. 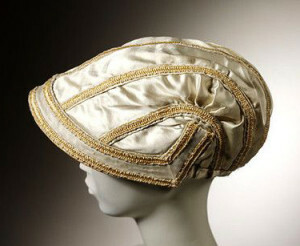 I figure it’s a lot like the turban: a way to hide your non-Regency hair indoors when your hat or bonnet must come off. 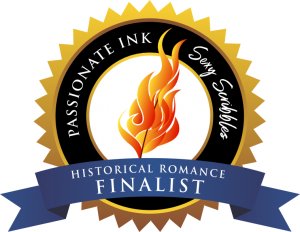 If you’re married, or single and proud of it, you certainly have the option, and would have in the Regency. We’ll just assume that you have to be a grown-up to wear a cap: old enough to be married. 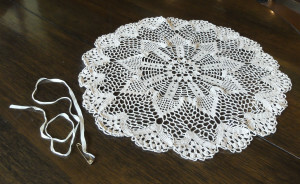 One of great-Grandma Lauder’s tatted doilies, 21 inches in diameter, was easy to make into a cap. 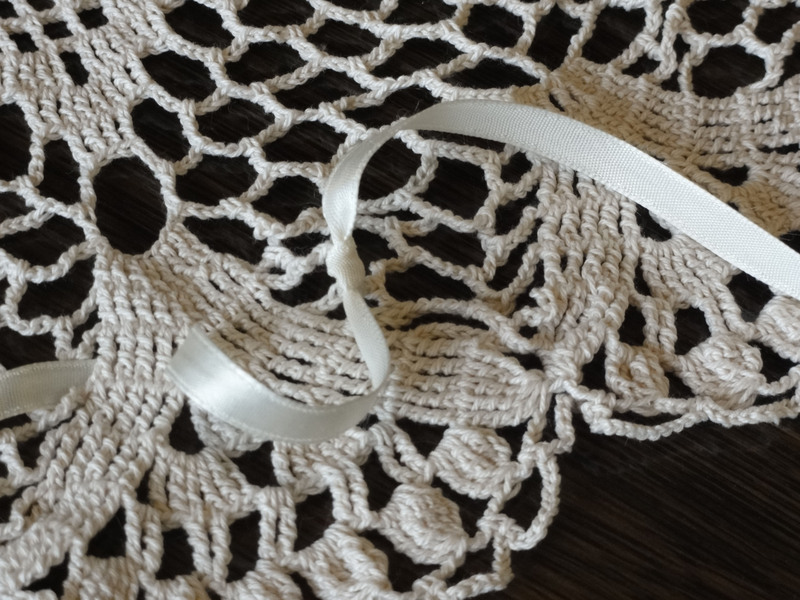 I tied a matching ribbon to a point about 2½” from the edge and pinned a safety pin to the other end. The safety pin helped me to weave the ribbon in and out around the doily at 2½” from the edge until about 2½” from the start point, gathering in the fullness. 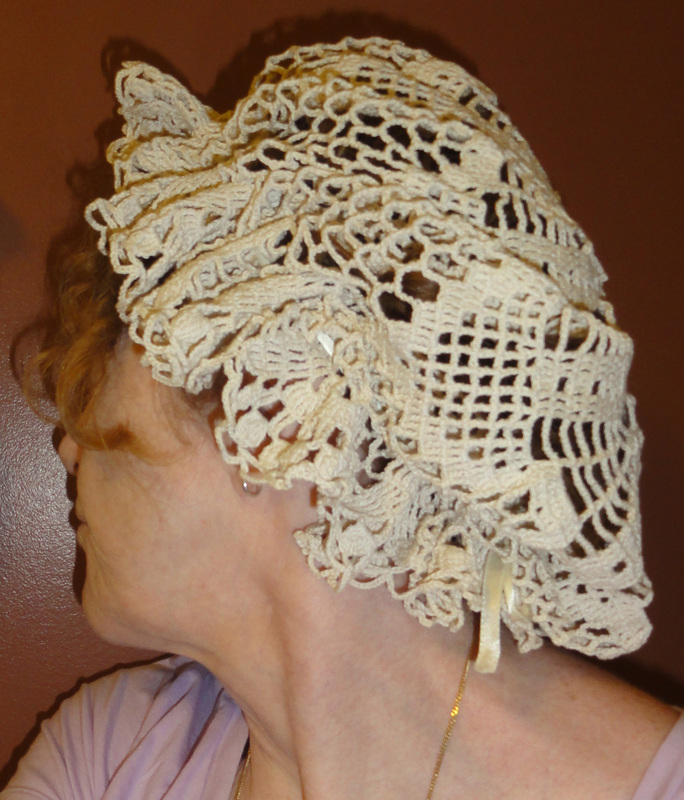 I tightened the ribbon so the “cap” fit my head loosely, then tied the other end off, too. 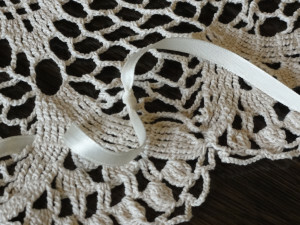 Then I tied a bow to tighten the cap with once in place. It’s a bit big for my head, and droops, but I have a small head. I still think it looks rather pretty. 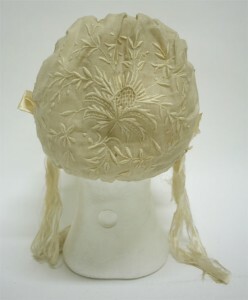 The trouble is, I doubt many caps looked like this, so at best, it’s graded as a “closed parasol”: okay in a pinch, but not correct. 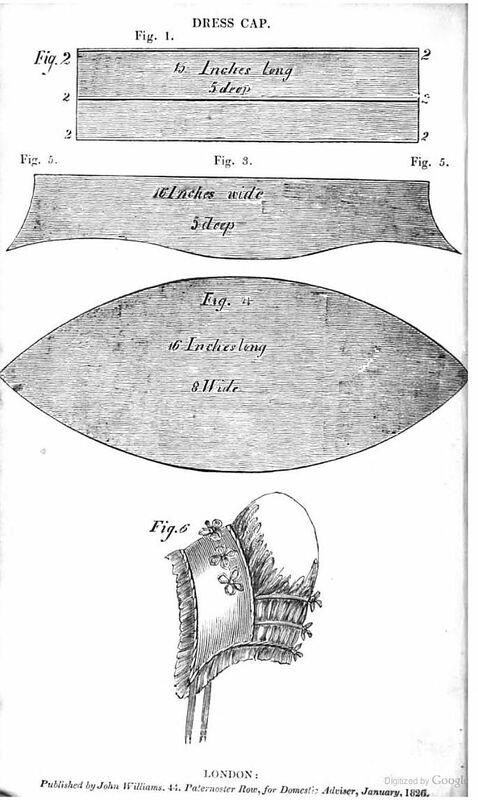 The one shown from 1806 has some similarities in appearance from the front, but it’s not the same construction. 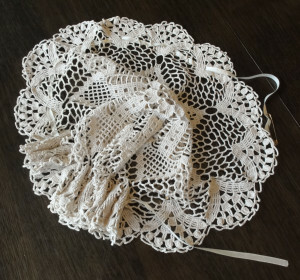 You see, I had mistaken the idea of a lace cap as a cap made of heavier lace like tatting, and had not paid a great deal of attention to real examples. 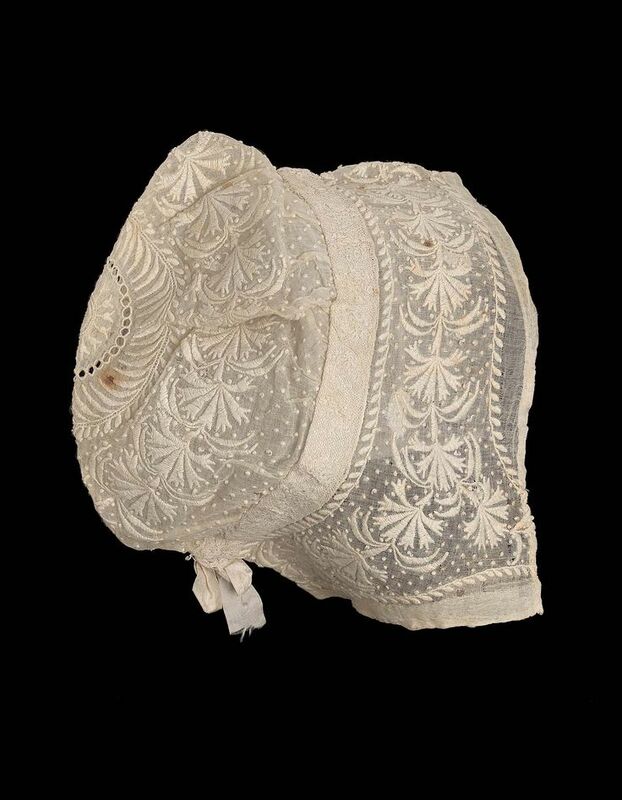 In actual fact, Regency caps were made from fine cotton, muslin, or linen, often with whitework embroidery, including eyelets, drawn thread techniques, and areas cut away so lace-like darning can fill the area. Back view showing embroidery on 1806 cap/bonnet. Sources of whitework might be found on a pillow sham as seen below, as well as handkerchiefs, scarves, or tablecloths. 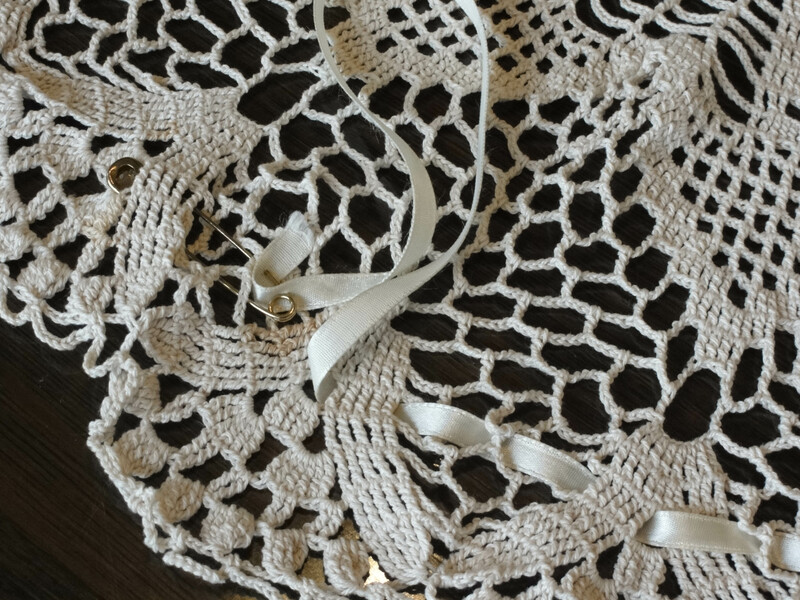 The shams, found at a small thrift shop for $1.99 for the pair, have some large drawn thread panels that can be used to make a cap, but it will be complicated. 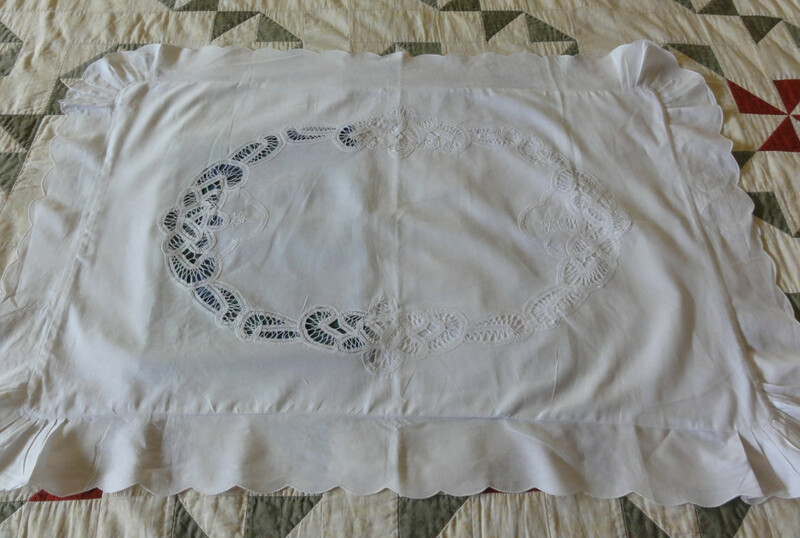 The first step will be to figure out how best to select the panels of embroidery, then where to cut them for the right shapes to piece together for a cap. The panels should be sewn together because of the complex shapes and need for fine, flat seams. 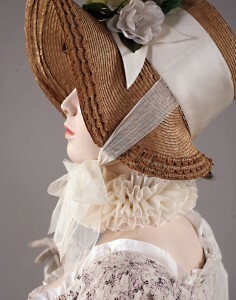 Ruffles on the front edge of the hat and ties at the throat seem to be optional, which saves me some fussing. 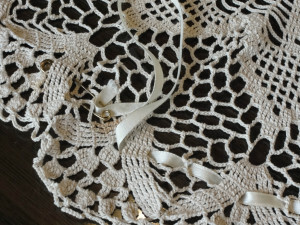 I’ve been watching for a pattern that may better suit my situation before I start this project. The one shown may not be perfect, but it may be all I have. With all the mention of what your hair will look like if you remove your headwear, and all the alternatives, we have yet to spend any time on hats and bonnets! Is that a bit like Chicken Little, worried about something unknown that may never come to pass? 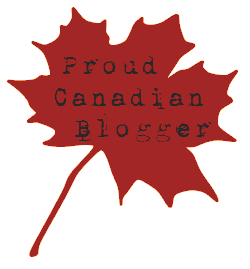 It could be that your event is an out-of-doors afternoon Promenade. 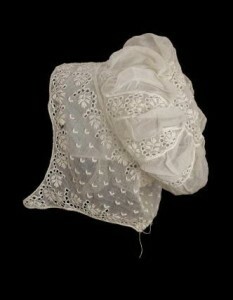 A Regency lady would wear some kind of head covering outdoors to give her an air of modesty. 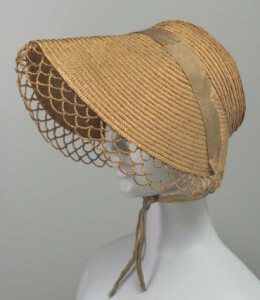 To shield her delicate skin from the sun, she may also carry a parasol, but it will not be a substitute for headwear, as in the drawing of the set of three ladies above. Unless you plan to spend an appreciable amount of time indoors during the event, you might never need to remove that hat while in your Regency persona. 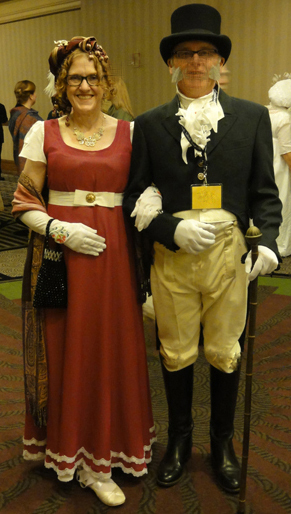 Alternately, if you plan to attend a Regency ball in the evening, and take on your persona indoors, you need not don a hat or bonnet in the first place. 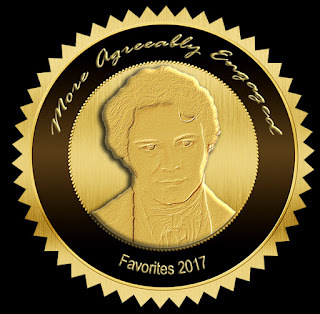 My event, the Louisville, KY Jane Austen Society of North America Annual General Meeting in October 2015, will call for both. 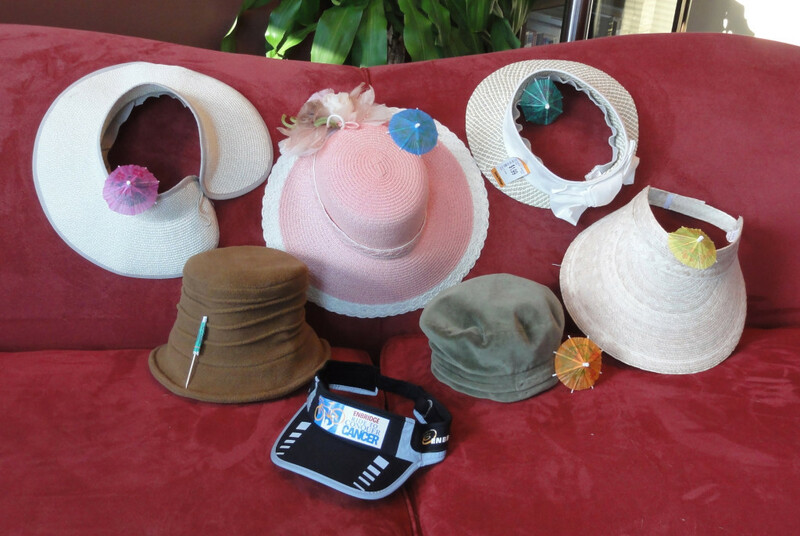 Here are some of the wide variety of designs for Regency hats and bonnets from around 1810, as well as the original seven modern hats I collected to demonstrate what you can find in your closet, showing which ones will work and which are devoid of the famous grading parasol! 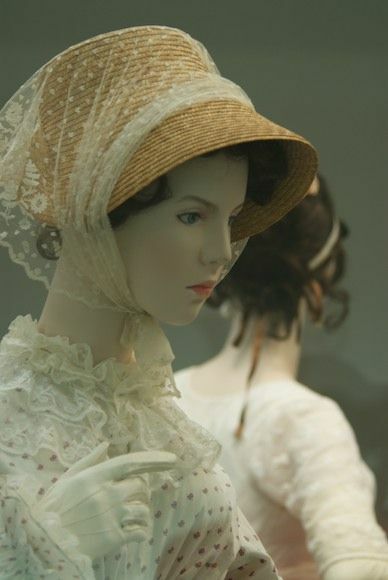 NEXT POST, I’ll give some ideas on how these hats can be made into Regency hats or bonnets, and show step-by-step how I made a Capote hat with one of them. 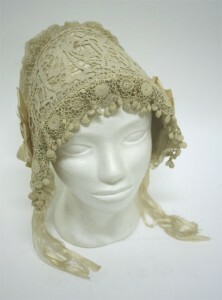 I may have time to make a second hat or the whitework cap before then, too.